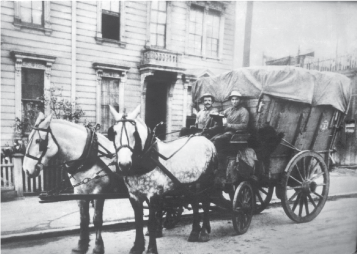 In the 1920s and 1930s, SSFSC pioneered the transition from open dumps to the sanitary landfills of today. In the 1950s and 1960s we helped perfect the collection of refuse in watertight collection vehicles. In the 1970s we started the first transfer station in northern California, with recovery of recyclables starting on opening day! In the 1980s the firm was among the first to install prototype waste reduction and resource recovery technologies, including curbside collection of recyclable materials, motor oil and oil filters. In the 1990s we designed and began construction on a state-of-the-art transfer station and materials recovery facility(MRF). In 2001 SSFSC and Blue Line Transfer Inc. moved to their current location with more capacity and equipment for processing and diverting materials from the landfill. In 2008, 22,000 square feet of solar panels were installed on the roof of the MRF which resulted in an annual reduction of 26 % in electricity purchases. In 2013, SSFSC administration building obtained LEED certification for Existing Building: operations and maintenance. Today, our professionals collect, receive, process and recycle (or transfer for landfill disposal) an average of 220,000 tons of waste a year. In 2009 we recycled and/or composted 39% of our total incoming waste, which contributes to the cumulative community recycling rate of 59%. In June 2014 we broke ground on the Blue Line Biogenic CNG Facility. The Facility takes the organic portion of the waste stream and, through anaerobic digestion technology, creates Biogenic Compressed Natural Gas (CNG) to fuel our collection vehicles. Not only is this advanced technology the first of its kind, it is the first facility in the United States to convert the organics collected into CNG to fuel those same collection vehicles — a true closed-loop, full-circle process.